Update May 19, 2016: No longer free. You may get it now for $4.99. 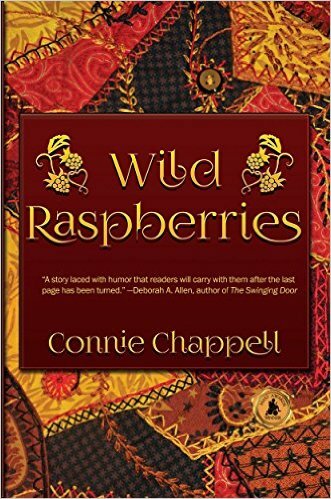 When Callie MacCallum sews her first quilt after the death of her lover Jack Sebring, she doesn't realize she'll be drawn into a Sebring family battle between wife and daughter-in-law. She simply wants to fulfill her promise to Jack to visit their cabin in the West Virginia mountains, where their long love affair was safely hidden. Instead, her emotionally reminiscent trip becomes crowded with the two Sebring women, a grief counselor, and the massive role Callie assumes. She must speak for Jack in order to protect his four-year old grandson Chad from his stubbornly manipulative and blame-passing grandmother and his recently widowed and power-usurping mother. Callie understands both women grieve the loss of Chad's father. He died when a raging storm split the tree that crushed him. Grief isn't the only common thread running between the four women. One by one, their secrets are revealed on the West Virginia mountaintop.